We’ve spoken a whole lot about the purpose and importance of good lenses. The camera body portion of your photography kit is essential, but the lenses you collect could make or break perfection and ease. Things like “which lens to buy” or “which lens should I bring with me” are the most important questions to ask as a photographer, because they are key. Imagine your camera body is a multi-sport athlete, capable of doing so much, and your lens options are the equipment. Yes, your athlete is an astounding tennis player, but without their racket, they can’t actually play at all. If each sport is a specific type of photography (street, portrait, landscape, etc etc) then each lens is a different essential piece of equipment for said sport. Though, those lines can get a little blurry when it comes to telephoto or zoom lenses. Zoom lenses were invented for imaging technology well after the optical telescoping world was used to them. The earliest advancement into zoom lens technology for telescopes can be dated back to 1834, while the camera world was still practically non-existent. It wasn’t until the early 1900’s that cameras adapted zoom lenses. Prior to such, the fixed or “prime” lenses that were standard across the board acted as useful tools for portraits, or landscapes, and not much in between. Zoom lenses are labeled or categorized in two different ways. They are either described by their zoom multiplication (meaning that a 50-200mm lens would be a 4x zoom lens), or by their base focal lengths (the same lens could be called a 50mm-200mm lens). Most lenses with a wide range of focal lengths lose some of the quality in imaging over their prime, or “fixed zoom” lens counterparts. This is because of the technology and glass needed to be able to zoom from a single position to another without the movement of the camera. Which is exactly why there is a still a place in this world for prime lenses. But Zooms are more commonly used, because that single lens can have multiple use cases across a shoot, rather than having to switch out different prime lenses. Here’s a breakdown of the ten best zoom lenses (of varied manufacturers and camera compatibility) that can be found on the market today. Nikon, and Nikkor’s history with optical zoom technology is no laughing matter. They’ve jumped into the camera and imaging technology worlds on the back of their extensive work with space programs, satellite technology companies, and of course, telescope manufacturers. So it’s no surprise that the leading zoom lens on the market is a very proud, and historic Nikon. It’s not very common for a lens of this much grace, and of this size to come packed with such a wide range capability. You’re looking well and beyond the standard scope of kit or boxed lenses here. From the smallest 55mm focal length to the top end of 300mm, this f/4.5 lens can do almost all of it. 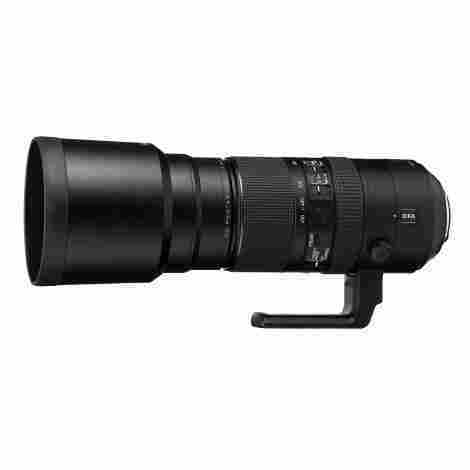 Add a teleconverter, and you may never need to own another zoom lens in your life. Part of their history, part of the prose that comes with the indulgence of a Nikon or Nikkor piece of glass is their handle, and prowess in the stabilization game. Like we mentioned, they were born out of necessity within the satellite and space engineering world, and you need some very stable images if you’re going to be in space. So believe us when we say that Nikon’s Vibration Reduction (or VR) image stabilization technology is the best on the market. Tamron is one of those companies that non-photography geeks are never going to hear about. They’re the sly, undergraduate that is making waves. Mainly because they design and manufacturer cheap renditions of popular lenses, that fit those popular camera body mounts. Birthed in the middle of the 20th century, the Tamron Optical Company was founded in Japan, and oddly (nowadays) is partially owned by Sony Corporation, even though they make lenses for Nikon mounts, Canon mounts, and Fuji. Keeping with our poorly designed sports theme, the Tamron line-up of famously well-developed lenses are like the second-tier goal scorer, that is traded before the deadline to the other team. 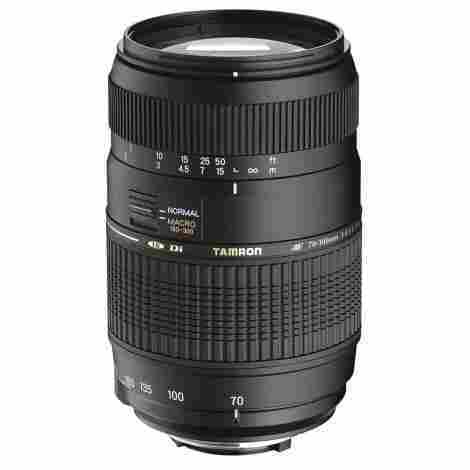 This specific lens (the Tamron 70mm-300mm f/4) has four places it can go. 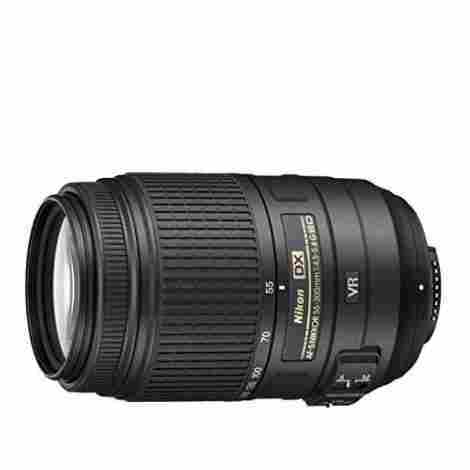 As an option you have to choose before adding it to your cart, the Tamron 70-300mm Zoom Lens can be purchased for Canon, Konica/Minolta/Sony, Nikon, and Pentax mounts. Making this single lens and option for almost everyone shooting in the twenty-first century. Often when you make the decision to get an “off-brand” product, especially in the technology industry, you’re sacrificing a bit of money (usually costing far less than the name brand version), but more importantly the quality. Thus, making it easy to cheap out on a lens, if you know it’s not going to last very long. You get what you pay for, right? Well Tamron (as a company that solely makes more affordable lenses for popular cameras) has an unprecedented SIX YEAR warranty for almost all of their glass. A lens (the 70-300mm Zoom) that would normally cost you roughly a thousand USD or more, at only a tenth-ish of that price, backed by a seventy year pedigree in optics manufacturing and design, and tailored together by a half-dozen years worth of warranty coverage? This might be the most bang for your buck on any list we’ve ever published. Now comes the other side of the Nikon coin. It’s the essential Canon Camera Telephoto Zoom Lens. This company, being the standard and somewhat normally boring technology manufacturers that they are, put a whole lot of love in their tiny prime lenses, and their zoom lenses. Maybe it’s an internal focus on this glass design that make Canon still relevant today. With a minimum aperture size of 32, and a maximum size of 2.8, this might be one of the most advanced aperture telephoto lenses on the market. At least at this (still relatively sane) price point. It’s normal for zoom lenses to lose the flair of a crazy big aperture number (some prime lenses can reach a max aperture of 0.95) in order to provide quality focus and detail at zoomed lengths, but the Canon 70-200mm Zoom Lens doesn’t lose all that much. Canon touts an incredibly complicated, and beautifully designed set of motors and modes built into this zoom lens. And you’d expect it at this price range. 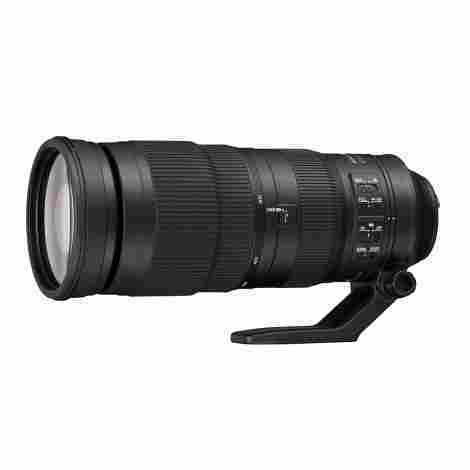 The Canon 70-200mm Zoom Lens comes with an Ultrasonic Focus Motor, for extremely smooth and quiet movement, as well as an incredible Ultra-Low Dispersion Element for their optical image stabilization. The latter is key for zoom lens photography. You can’t beat around any bushes here with the price. Though you can take extremely beautiful and crisp photos of said bush, from a rather far distance, with this lens. 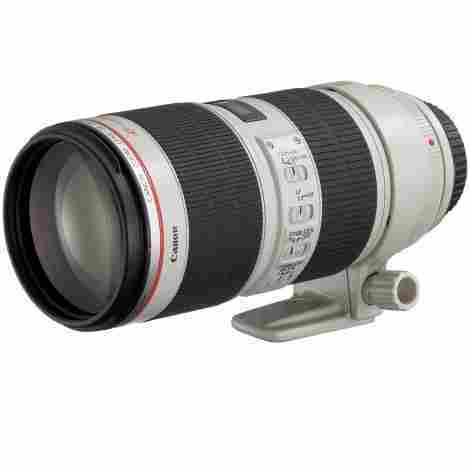 At the cost of a mid-size beater car, the Canon 70-200mm Zoom Telephoto is the peak of premium glass on this side of the “this is getting ridiculous” fence. Back again with a well designed, and sort of everyday standard Nikkor glass for Nikon DSLRs, the Nikon AF-S 200-500mm Zoom lens is a beast for distance, but the slight lose in addition tech, and image quality cuts down on the cost, making this lens a perfect option for those looking to get into the zoom / telephoto game without breaking the bank. It’s advertised as a “compact super-telephoto” and while that might be true, it’s anything but small. The real reason it is able to keep from being one of those ridiculous, almost jokingly large, zoom lenses is because they sacrifices the bottom end of the focal range in order to keep the lens that small. A lens at this size would normally be somewhere around the 50-200mm focal length mark. But this bad boy starts at 200mm, and goes all the way to 500mm. It’s no secret that at the farthest reach of this camera lens, even the smallest added movement to your camera of lens will completely destroy your photo, and it’s sharpness we’re really going for when introducing a telephoto lens to your kit. The Nikkor 200-500mm lens has such an advanced camera vibration reduction, that it’s not even something you’re ever going to have to worry about. There are better zoom lenses out there. There’s a lot of room for improvement in the f-stop and aperture numbers with this lense, but at the average price for any lens, and you get a very capable and beautifully normal-sized super-telephoto lens with the ability to shoot up to 500mm zoom? That’s a crazy value that just can’t be ignored. Oh hey! It’s Pentax! One of the remaining companies from the analog era, Pentax is still quietly making amazing digital and film cameras over at their headquarters in Tokyo, Japan. They may not be often considered in the battle for top spot (that would be an argument over Canon, Sony, and Nikon, of course), but that doesn’t mean they’ve bowed out of the fight all together. And after their 2011 $10Billion dollar buyout from copier-maker Ricoh, they’ve got some wiggle room to be exclusively Pentax, and not worry about dominating the market like they once had. There aren’t a lot of product on the market that can easily compete with this Pentax lens at the top end. Plenty of great lenses out there never reach for the moon at a 450mm focal length, but the pentax does it with suave elegance. Keeping with the traditions set back a hundred years ago when the manufacturer first introduced simplified end-user products with minimal hassle. Being far away from your subject, or getting a really tight shot from a little bit closer are two very distinct reasons why having a telephoto (or in this case a super-telephoto) lens is ideal. With the Pentax HD D FA 150-450mm Zoom Lens, however, you get all of that goodness at an almost silent decibel. Perfect for those sneaky shots of movie stars and celebrities. An unfortunate side-effect of being left out of the top contenders list, and a product of Pentax having flexibility to make the most amazing things, getting into the premium pro-inspired line-up from Pentax isn’t cheap. The lenses included. You won’t have to re-mortgage, yet. But you might want to consider a small loan. Luckily, the value and capabilities of this lens completely make up for that. 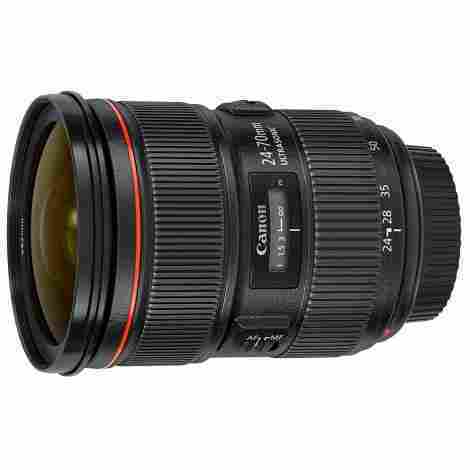 Jumping back into the Canon pool, we’ve got an extremely premium, and unique lens for you. 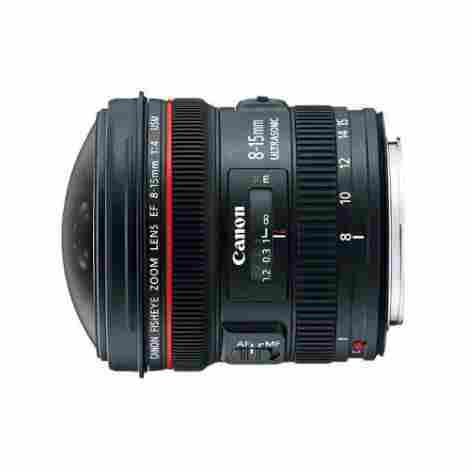 The Canon EF 8-15mm f/4 Fisheye USM Ultra-Wide Zoom Lens is as unique as any other on this list. Bringing you all of the bang that comes with Canon glass, and a little bit more than other lenses can offer with some intriguing changes to the ultra-wide formula. This is Ron Burgundy reporting from … it’s actually not. Still me. But the unique part of that subtitle is super accurate. There are a lot of great macro lenses on the market. The wide-angle game is one of many options, and most of them are premium quality, but Canon has gone full weird, and thrown a Fish-eye cap on the end of this ultra-wide angle lens, ensuring that nothing you take with this lens will look like any other lens you have. How many movie references can I make in a single buying guide? Is that a challenge? The fish-eye end capped to the beautiful ultra-wide angle lens from Canon can create some stunning photographs. Bringing the zoom all the way to the bottom end can create a near perfect circle image, whilst the top end, gets a unique perspective to a standard wide-angle point of view. It’s truly a delight, and you won’t be disappointed. At just above the median price for a quality lens, it’s a bit tricky to justify a unique, and crazy lens like this for the everyday photographer. If you’re a professional, or are extremely in love with fish-eye photography, then this might be a lens that you should own, or never take off your body. That makes the value skyrocket. There’s a place for this type of unique lens, and it’s priced to show that. Canon is back with more zoom lens goodness for you, and for our list, this rightfully lands on the south side of the middle because it’s a gold standard, made very well, but lacks some the pizazz needed to acquire a top five spot. Canon surely has won you over now with their glass game, because a lot of their worth is in the glass they offer. But if you’re looking for something abnormal, then look somewhere else. Normally Canon has come pretty exciting glass. But this isn’t the case with the EF 24-70mm f/2.8. The beauty of this lens is in how absolutely meticulous the craftsmanship is, and how wonderfully standard the specs are. There’s a lot of use for this zoom range, as it’s near or dead-on to most of the lenses that come with Canon cameras. Then there’s the 2.8 aperture maximum which is a whole lot better than those box lenses, but not astounding. This is the gold standard of Canon lenses. The specs might be a bit boring, but the make is nothing shy of a miracle. There are so many budging advancements in Canon’s lens technology packed into this tiny package. And on top of it all, it’s one of the most durable high-end camera lenses ever introduced to the consumer marketplace. The red ring around the lens signifies that it is a recently developed EF USM Canon lens, which also means that Canon is going to charge you an arm and a leg for it. Rightfully so, considering the advancements made in their recent line-up of glass. 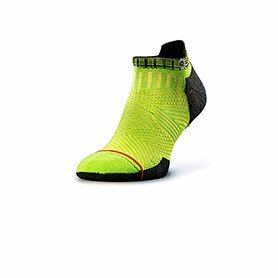 This is not for the faint of budget, or the photographer looking to add a unique and interesting piece of glass to their kit. It’s almost strictly for those looking to replace their gold standard with a better one. 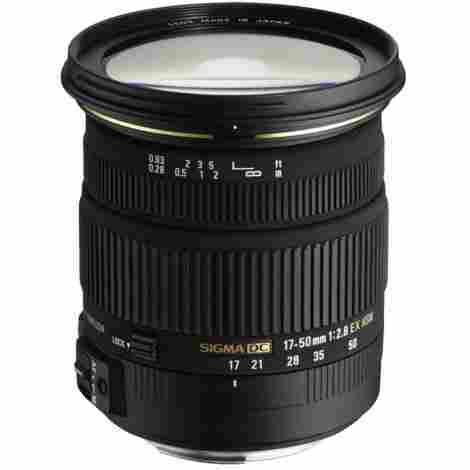 The lesser known third-party lens manufacturer among photographers of all skillsize, Sigma swoops in near the bottom of our list with this incredibly impressive 17-50mm f/2,8 Zoom Lens. The third-party market isn’t as crazy as some might think. Especially if you consider that on a few companies make the world's most popular “ode-to” lenses, and they can fit almost any camera on the market. Most modern day digital SLR cameras come in a boxed set. This set will include the body, the battery, a strap (probably), and a box lens. This box lens will usually be somewhere around the 18-50mm range, or the 20-75mm range. That’s where the sigma comes in. With almost double the max aperture of the standard boxed lens, and roughly the same zoom range, the Sigma DC OS HSM FLD Large Aperture Standard Zoom Lens is a natural upgrade from your box lens, at the fraction of the price that an on-brand one would cost. With the third-party lens game, comes the need to facilitate whichever camera body the consumer has. This isn’t an easy thing to accomplish. But Sigma does it in style here. With mounting options for Canon, Nikon, Pentax, Sigma bodies, and Sony bodies, this standard zoom lens can do it all, with whichever modern body you have. Starting at a fraction of the price that an on-brand version of this lens would cost, and considering this single lens has the ability to mount (you choose at checkout) almost every modern DSLR, the value is inescapable. How about skipping the option for upgrading your boxed lens and just buying a really great boxed lens without the body?! 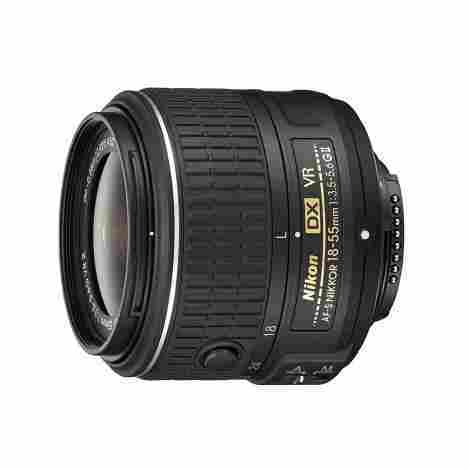 That’s exactly what Nikon is looking for when it made this Nikon AF-S DX Nikkor 18-55mm Zoom Lens. As with almost all common modern Nikkor or Nikon lenses, the AF-S DX Nikkor lens comes standard with the proprietary Vibration Reduction (or VR) stabilizer, for extremely crisp, and sharp images at either end of the zoom, and anywhere in between you might be shooting. It’s also extremely lightweight, with street photographers in mind during manufacturing, Nikon made this one of their lightest zoom lenses in company history. This is the ideal lens purchase for any Nikon fan or user that picked up a Nikon body without a lens. Considering that this is essentially the newest version of the standard in-box lens, Nikon sells it separately, because a lot of used camera sales are with the body only, and come camera shops even offer discounts if you buy just the body versus the full kit. The standard 18-55mm focal length is a perfect “everyday” lens for the hobbyist photographer, and the max aperture of 3.5 is a little bit better than the kit lenses from Canon. Nearest the budget portion of our list that you can get without fully sinking into the pit of cheaply made products, this out-of-the-box kit lens from Nikon is only a few hundred dollars, and can replace, or upgrade any standard boxed lens that Nikon has ever offered consumers. The value is definitely there for hobbyist photographers. We’ve hit the end of our list, and we’ve finally hit the trademark point where I throw the convention out the window and offer you all a look at a product that is sort of under the title of this guide, but kind of not, in the same breath. You almost thought you got through a whole list without me pulling a relevant fast one on you? Have you ever taken out your smartphone and wished that the deer hundred of yards away was closer so that you could get a decent photo for the “‘gram”? Well today is your lucky day. In fact, I know a whole ton of professional photographers, like Chase Jarvis, who have made a name for themselves using just their phone to take amazing photos. This Cell Phone Telephoto Lens from Sevenka has a 12x zoom, bringing your subject much closer optically than you could get them without it. Zoom lenses, and telephoto lenses are essentially telescopes for your cameras, right? That’s why plenty of the now famous camera companies began with telescoping image manufacturing prior to the invention of consumer cameras. 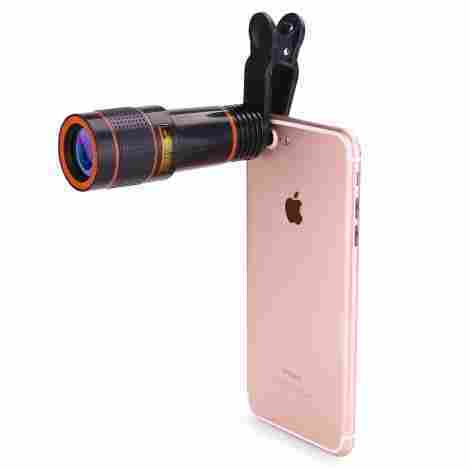 Which is why the beauty of this cell phone telephoto lens is that it comes with an eye cap, which allows you to take it off of your phone, and use it as a monocular. Under the price of a meal at a fast food joint, this cell phone photo game-changer is just one of many lenses you can buy for your pocket camera. And one of the most essential. The biggest plague for cell phone photographers is the distance and fragmenting of image quality with the built-in digital zoom. So avoid that and get 12x the zoom without breaking open the ceramic pig. Whatever your ultimate goal is when you begin your online shopping for new glass, we’re sure to have offered some extensive insight, and a look at some very unique lenses on this list. It’s extremely important to understand what it is you’re looking for out of your lens prior to purchasing it, or even before you start shopping. Whether it’s a Canon lens or Nikon, a Telephoto or Wide-Angle, there is going to be a lens out there for you. If you’re interested in trying out a lens type, but don’t want to spend your savings to do so, consider aiming at one of the fabulous third-party companies we listed to give the type of lens a try before the ultimate purchase and an upgrade is made. Zoom lenses can be an essential part of one’s kit, especially if all you’ve got are prime lenses with fixed zoom lengths. Zoom lenses can be very different from Prime lenses, and one should shop for them differently too. With prime lenses, you’ve got a lot of narrowing down to do. You’ll get the best tool for the job, but you’ve got to understand what that job is before heading out into the marketplace to be bombarded with options. When looking at picking up a Zoom lens for your kit, the narrowing vastly differs. Many of these lenses can do a whole lot, and do it very well. There are no strict constraints on your ability to use them. Aside from a few of our choices, like the fish-eye, and macro stuff, zoom lenses thrive in their ability to cover multiple lengths. That’s their whole purpose after all. But a 200-500mm lens, while having the ability to cover a lot of bases in between the top and bottom end of the focal lengths, can’t perform very well (or at all in most cases) at a focal length of anything below the 200mm mark. So there’s more of a ballpark that one must find when deciding which kind of Zoom lens to go after. The difference between getting a lens capable of shooting sporting events, air shows, racing, and nature from a distance is going to be a vastly different marketplace than those looking to shoot landscapes with a wide-angle zoom. The use of digital technology in photography will always be a sticky conversation to have, both with purists, and with those devoid of any analog experience. But the addition of some of the imaging hardware advances in the technological aspect has drastically changed the quality of life for photographer of both professional, and enthusiast levels. Things like optimizing image stabilization have changed the way we look at shooting things with long-reaching zooms. It’s actually made it a feasible option for anyone with a tripod these days to shoot at a full focal length of 500-900. Perks like optical motor density and noise reduction is also changing the way we photograph things, rather than changing the photographs. As a street photographer myself, the quieter the set-up, the most success you can have out and about. Think about the crazy change in nature or animal photography as well. Not scaring away your subjects, no matter how close you are, it essential to capturing the perfect moments. Other perks like rounded aperture blades for smoother, rounder bokeh, and versatile wide-angle lenses are just some of the ways the act of taking a photograph has been changed for the better since the melding of technologies. So even those that prefer analog, and think that digital is a detachment from the beauty that is still images, can’t complain too much about the additional quality of life improvements that technology has made to the genre. In forming our list, it was essential to include camera lenses that include these kinds of additional tech perks, because this is the twenty-first century, and they help a whole lot. There’s a lot of volatility in the camera accessory markets when it comes to price ranges, and lenses are no different. The price gap between premium lenses and budget lenses can soar into the multiple thousands, and that means a far more complicated assignment for the everyday shopper. Much like every list we try to put together, there’s a distinct advantage to attempting to span the price gaps in the market. Here we’ve offered up a bunch of quality budget-friendly lenses. Ones that do an amazing job. The inbetweeners that reach the median prices of the market (a more standard price). And the extremely pricey (though we got nowhere near the top end of the lens market). As the consumer, you’ve really got to budget accordingly before heading into full shopping mode. Doing as we suggested in the first point of this section, and narrowing down the job you’re aiming to accomplish can do a lot in narrowing the price range you’re going to be able to look at. Luckily for most of us — those that shoot on one of the main five camera brand bodies, anyways — there are some pretty epic options for budget third-party lenses that won’t cost more than the bottom of the line on-brand lenses. This helps you try out lens types, and functions, before diving into the thousands of dollars needed to get into the Nikon, Canon, or Sony game. Our list contains a varied price range, but your shopping doesn’t have to. Narrow things down as best you can. And keep in mind that, as with any technology industry, you’re going to get results based on the amount you spend. There’s not a whole lot of room for markup in this industry, so the relative cost of manufacturing and design are passed on to the consumer. A: As these are zoom lenses, you will always see two numbers with “mm” next to them on the designated lens. Most of the world’s lenses come with that number on the side of the lens. This “mm” is the designation for the focal length of the camera lens. It breaks down the ability of the lens to focus on subjects at certain distances away from the camera. This is the same with prime lenses (fixed-zoom lenses), but a prime lens on has a single zoom focal length, so there won’t be more than one number. The magnification of the image can also differ depending on the sensor of your camera. If it’s a full-frame camera, then whatever the lens says, is what you’ll be able to shoot. But if there’s a cropped sensor in your camera, then you’re going to have to do a little bit of head math in order to figure out at which distances can your lens focus on. A: The number that follows the “f/” or is immediately before the word aperture, is just that, the aperture number. The f-stop (aperture) number on a camera is usually communicated via it’s maximum, which is the lower number is can be set at. The lowest number is the highest aperture because it’s the biggest setting a window can be set at. Letting in designated light, and giving you (the user) the ability to focus on a single subject, or everything within sight. A: That all depends on how serious you’d like to take your photography. The kit lenses that come with your boxed camera body these days are designed to be “everyday use” lenses, or “standard” lenses, but they’re only going to take you so far in your travels through the world of stills. It’s highly suggested if you’re an enthusiast that you upgrade your glass because there is always a better lens out there. It is demanded of professionals, to upgrade their lens game, because they have specific criteria and jobs to accomplish.